Learn everything you need to know about CDK Stone’s range of Tools & Equipment. These short videos will inform you about product features, offer tips, teach you the correct usage and discuss the product benefits. Stay informed and educated with your favourite products today! Diarex’s range of tiling blades are designed specifically for professional use. Available in 105mm and 125mm, these blades are ideal for wet cutting a range of tile surfaces. This video outlines which blade you should use for your material type and some tips and tricks to get the most out of your blade. Diarex has a full range of tiling blades for Natural Stone, Engineered Stone, Sintered Stone, Porcelain & Ceramic Tiles. These specialised blades are a favourite amongst Australian tilers. Diarex’s Core Drill Bits can drill to a depth of 30mm and come in diameter range of 6mm all the way to 110mm. These drill bits are ideal for wet drilling a range of surfaces. This video outlines how to correctly drill your material type and some tips and tricks to get the most out of your drill bit. Diarex Core Drill Bits are ideal for drilling Natural Stone, Engineered Stone, Sintered Stone, Porcelain & Ceramic Tiles. Integra Adhesives are high-quality adhesives for surfaces. Using the Pneumatic Gun, you can half the time needed to apply adhesives. 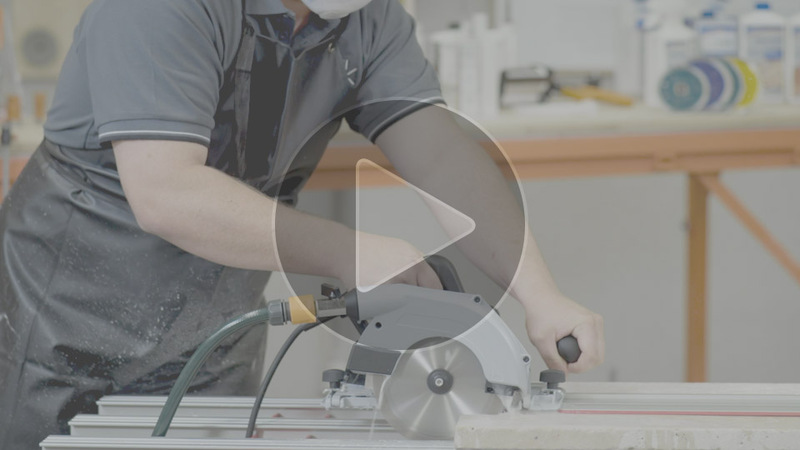 Increasing you overall efficiency, this video explains how to set up the gun, calibrate the pressure, purge the adhesive and apply it to a mitred edge. 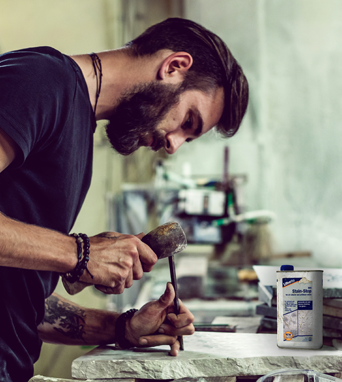 Integra Adhesives has a large range of premium adhesive solutions for all surfaces. Paired with the Pneumatic Gun, Integra Adhesives makes bonding surfaces easy. Protect your stone by sealing it with Lithofin. Lithofin’s range of impregnating sealers are designed to help prevent the penetration of water, oil, grease and general dirt, without altering the materials slip resistance or finish. 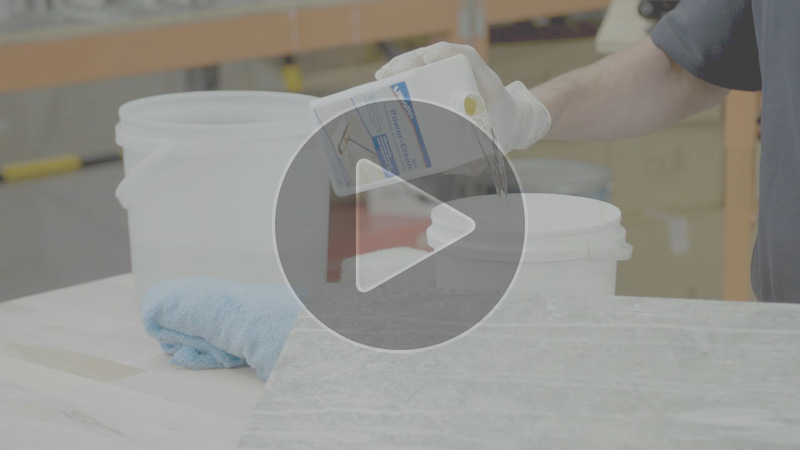 This video shows you how to correctly seal Natural Stone with Lithofin MN Stain-Stop. Lithofin has a premium range of specialised sealing products for Natural Stone, Engineered Stone, Sintered Stone, Porcelain & Ceramic Tiles. Keep your looking perfect with Lithofin. These high quality maintenance products are designed to leave the surface hygienically clean, preserve the impregnating sealers and enhance the colour of the material. 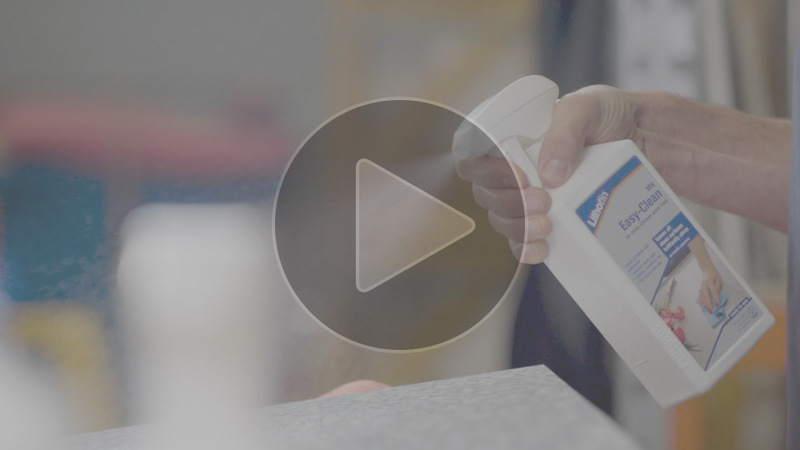 This video shows you how easy it is to maintain your Natural Stone with Lithofin MN Easy-Clean. Lithofin has a premium range of specialised maintaining products for Natural Stone, Engineered Stone, Sintered Stone, Porcelain & Ceramic Tiles. Keep your stone clean with Lithofin. These high quality cleaners are ideal for daily cleaning right through to removing stubborn dirt, Lithofin has a product for all your cleaning needs. This video shows you how easy it is to remove stubborn residue from this Natural Stone tile with Lithofin MN Power-Clean. Lithofin has a premium range of specialised cleaning products for Natural Stone, Engineered Stone, Sintered Stone, Porcelain & Ceramic Tiles. The Flex CS60 Wet Circular Saw is designed for processing stone and other hard surfaces. Featuring a cutting depth up to 60mm, this saw has a 45-degree tilt adjustment that is ideal for cutting mitred edges. This video shows you how to set up the guided rails, set up the saw, the correct process for cutting and some tips and tricks to get the most out of your saw. The standard in German power tools, Flex has a large range of premium power tools. Offering specialised tools for multiple industries, Flex has tools you can count on. 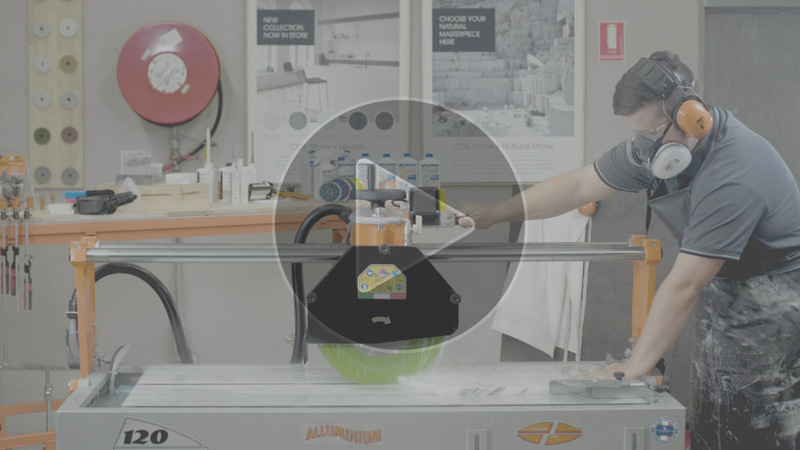 The Manta Table Saw is perfect for wet processing Natural Stone, Engineered Stone, Tiles, Pavers, Porcelain or Ceramics, depending on the blade. Featuring an integrated water tank with recirculating pump system, this saw has a 45-degree bridge tilt that is ideal for mitred edges. This video shows you how to set up the blade, set up the saw and the correct process for cutting. The Manta is the ultimate portable, wet table saw. This powerful saw is ideal for on-site processing of all surfaces and tiles. Tuscan Seamclips are a one-piece edge levelling clip for laying tiles. This professional system eliminates any lippage. These clips are available in three sizes that are perfect for tiles 3mm up to 12.5mm. 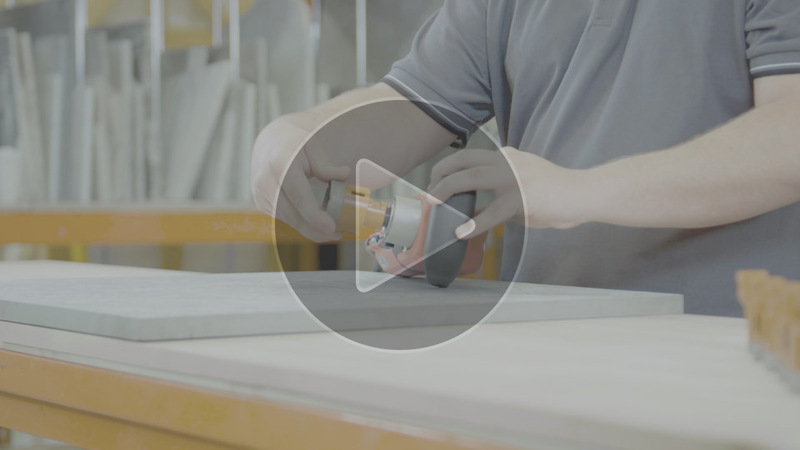 This video shows how easy it is to lay tiles using Tuscan Seamclips. Tuscan has a full range of tiling tools beyond the Seamclips. Designed specifically for tilers, Tuscan is the professional choice. Montolit’s range of tiling tools are made by tilers for tilers. These high quality tools are the perfect solution for scoring, handling and installing large formate tiles. This video shows you how to use the Flash Line Cutting System for scoring and the Superstick for handling the larger sheets/tiles. Montolit has a full range of tiling tools specially designed for scoring, handling and installing large format tiles. 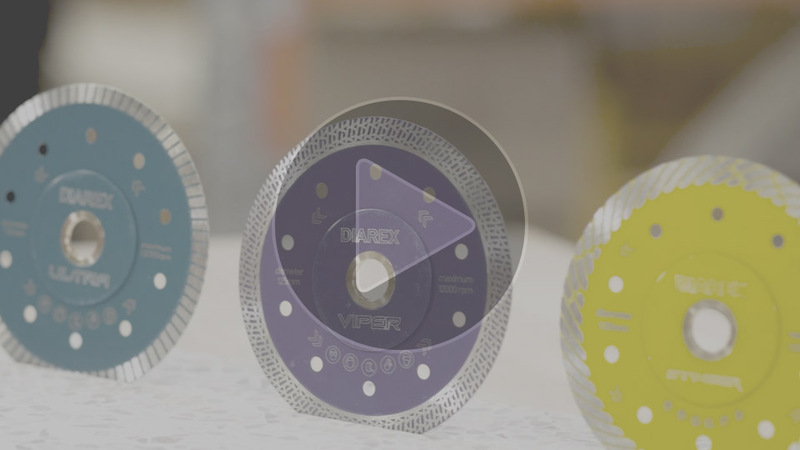 Diarex’s range of tiling blades are designed specifically for professional use. Available in 105mm and 125mm, these blades are ideal for wet cutting a range of tile surfaces. This video outlines which blade you should use for your material type and some tips and tricks to get the most out of your blade. Diarex has a full range of tiling blades for Natural Stone, Engineered Stone, Sintered Stone, Porcelain & Ceramic Tiles. These specialised blades are a favourite amongst Australian tilers. Diarex’s Core Drill Bits can drill to a depth of 30mm and come in diameter range of 6mm all the way to 110mm. These drill bits are ideal for wet drilling a range of surfaces. This video outlines how to correctly drill your material type and some tips and tricks to get the most out of your drill bit. Diarex Core Drill Bits are ideal for drilling Natural Stone, Engineered Stone, Sintered Stone, Porcelain & Ceramic Tiles. Integra Adhesives are high-quality adhesives for surfaces. Using the Pneumatic Gun, you can half the time needed to apply adhesives. 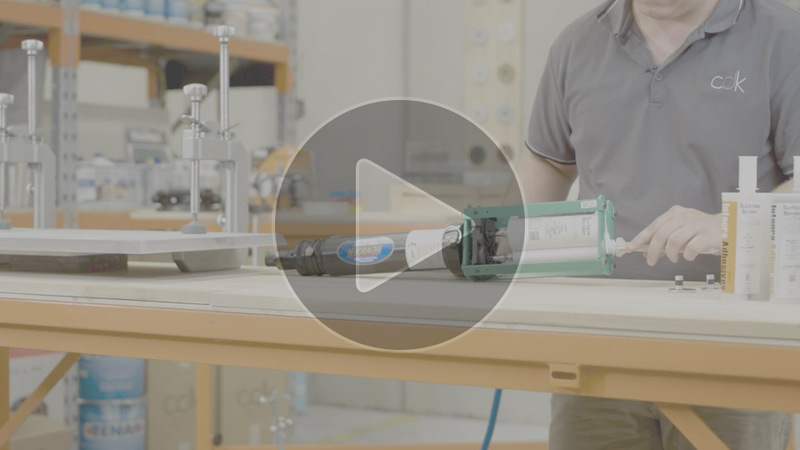 Increasing you overall efficiency, this video explains how to set up the gun, calibrate the pressure, purge the adhesive and apply it to a mitred edge. Integra Adhesives has a large range of premium adhesive solutions for all surfaces. Paired with the Pneumatic Gun, Integra Adhesives makes bonding surfaces easy. Keep your stone clean with Lithofin. These high quality cleaners are ideal for daily cleaning right through to removing stubborn dirt, Lithofin has a product for all your cleaning needs. This video shows you how easy it is to remove stubborn residue from this Natural Stone tile with Lithofin MN Power-Clean. Lithofin has a premium range of specialised cleaning products for Natural Stone, Engineered Stone, Sintered Stone, Porcelain & Ceramic Tiles. Protect your stone by sealing it with Lithofin. Lithofin’s range of impregnating sealers are designed to help prevent the penetration of water, oil, grease and general dirt, without altering the materials slip resistance or finish. 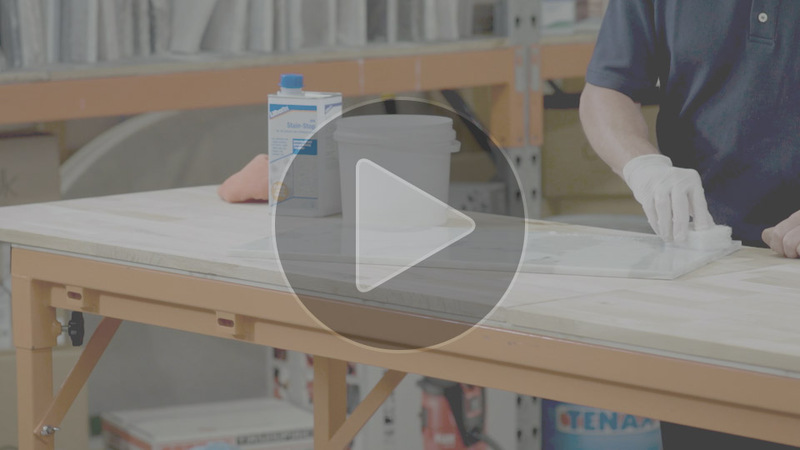 This video shows you how to correctly seal Natural Stone with Lithofin MN Stain-Stop. Lithofin has a premium range of specialised sealing products for Natural Stone, Engineered Stone, Sintered Stone, Porcelain & Ceramic Tiles. Keep your looking perfect with Lithofin. These high quality maintenance products are designed to leave the surface hygienically clean, preserve the impregnating sealers and enhance the colour of the material. This video shows you how easy it is to maintain your Natural Stone with Lithofin MN Easy-Clean. Lithofin has a premium range of specialised maintaining products for Natural Stone, Engineered Stone, Sintered Stone, Porcelain & Ceramic Tiles. The Flex CS60 Wet Circular Saw is designed for processing stone and other hard surfaces. Featuring a cutting depth up to 60mm, this saw has a 45-degree tilt adjustment that is ideal for cutting mitred edges. This video shows you how to set up the guided rails, set up the saw, the correct process for cutting and some tips and tricks to get the most out of your saw. The standard in German power tools, Flex has a large range of premium power tools. Offering specialised tools for multiple industries, Flex has tools you can count on. The Manta Table Saw is perfect for wet processing Natural Stone, Engineered Stone, Tiles, Pavers, Porcelain or Ceramics, depending on the blade. Featuring an integrated water tank with recirculating pump system, this saw has a 45-degree bridge tilt that is ideal for mitred edges. This video shows you how to set up the blade, set up the saw and the correct process for cutting. The Manta is the ultimate portable, wet table saw. This powerful saw is ideal for on-site processing of all surfaces and tiles. Tuscan Seamclips are a one-piece edge levelling clip for laying tiles. This professional system eliminates any lippage. These clips are available in three sizes that are perfect for tiles 3mm up to 12.5mm. 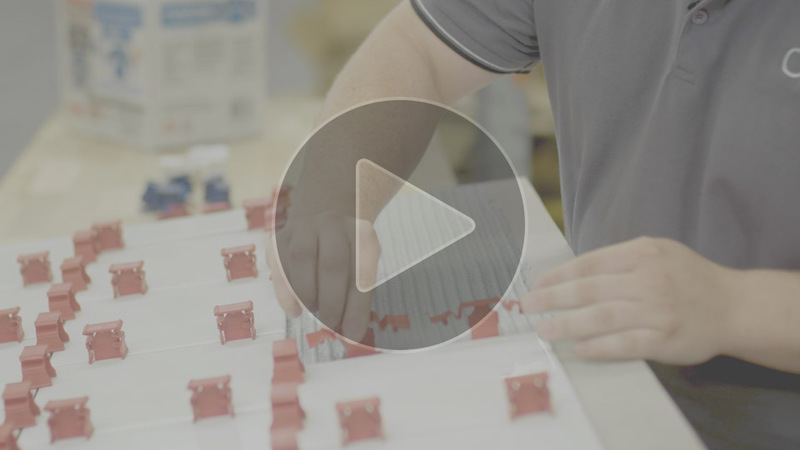 This video shows how easy it is to lay tiles using Tuscan Seamclips. Tuscan has a full range of tiling tools beyond the Seamclips. Designed specifically for tilers, Tuscan is the professional choice. Montolit’s range of tiling tools are made by tilers for tilers. These high quality tools are the perfect solution for scoring, handling and installing large formate tiles. 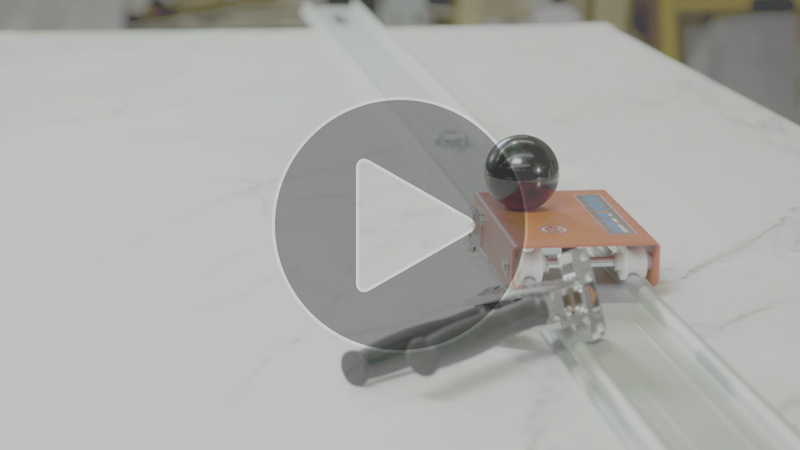 This video shows you how to use the Flash Line Cutting System for scoring and the Superstick for handling the larger sheets/tiles. Montolit has a full range of tiling tools specially designed for scoring, handling and installing large format tiles.